The last week and days trying to get ready for departure and the travel itself are probably the least fun of having a cycling camp. I have to prepare for a camp almost a year in advance; however most of the preparation happens last-minute anyway and it is total chaos until we step on the plane to Italy to have everything lined up. Number one is to fill up the camp with clients and with clients that are actually capable of doing the rides we do for 9 days, suffering, willing to ride in rain sometimes 100 miles, climb 10.000 feet in one day and meet the challenge every day… and doing it again all over the following day, but still really enjoy riding their bikes and laugh about it at night while having dinner and have a sense of accomplishment when they go to bed. 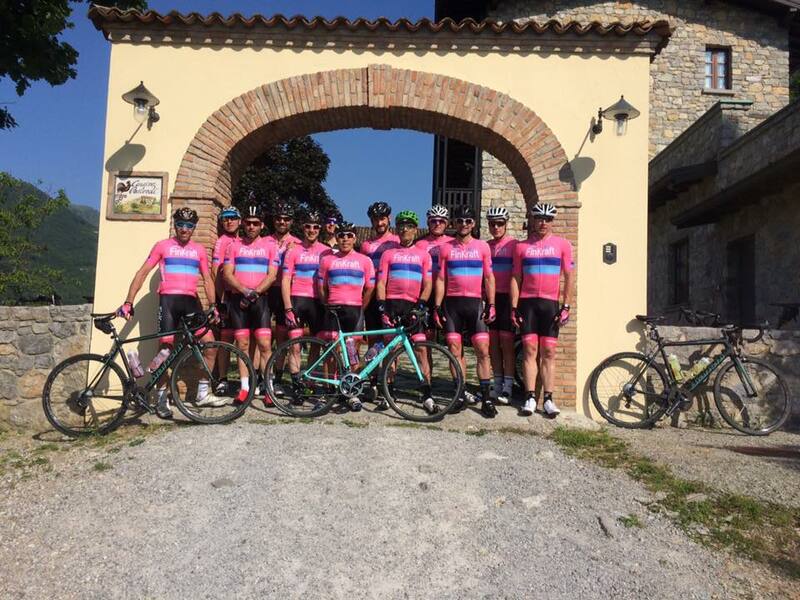 Having the passion for cycling and wanting to experience the Recreational Pro life for a week in Italy is sometimes exciting and nervous at the same time. To me it is a life style and it is living your life to the fullest. Having your family understand and support your passion is key and we could not be more fortunate in that way. It is normal to me even though this type of job seems completely like a fantasy, not reality or dream to most guys, but to actually show and have someone else experience all this is the biggest satisfaction of a camp to me. To see someone get through all this and say to themselves, I did it, wow… I can not believe what I saw in one week and how cool cycling actually is when you get an opportunity like this. The things, the people and the places we do see on the bike without actually planning on it is priceless and you have to enjoy every moment because it might not ever had happen again in a life time. Every little detail counts and without really knowing it makes the camp as a whole a special experience to me every client and anybody involved. I see it that way now because I have done it so many times already, but from a new client’s perspective it may not sink in until a few weeks or months later it all makes sense and is a really cool thing that they remember the rest of their lives. Having a flashing light on the back of your bike in a tunnel, seeing a pro who won the World Championships suffering up a climb that you rode yourself and was a stage that same day in the Giro, twelve guys wearing the same cycling kit and having the same passion for cycling without really knowing each other and having the feeling that you are all on the same team on a hard day is a very special thing that is hard to describe unless you experience it. I am not saying you will be happy about everything every day and enjoy everything when it is happening, but I have to say I have been through the ringer the last 10 years. I have been sick, frozen in snow and rain, suffered with pain though out my whole body, ridden 160 miles in one day getting to our hotel at dark and to be honest I really only remember everything as happy, funny and exciting moments and I would do it all over again no matter what, it just amazes me how much a bicycle can affect your life! I am writing this as we sit on the plane, after going through hell to fit everything into bags and coordinate everything we need in Italy, because once we land everything has to be ready to go. It is like bring everything you own and more in one 50 lbs suit case and hope you forgot nothing. Once we land new challenges begin. I have to adjust things on the fly, but make everything look like it was all part of the plan and adjust to a daily routine in Italy keeping a tight ship on schedules and keep pushing on the bike to stay on track on the planned route—main thing is not to panic, last famous words. Ciao and thanks for being part of this adventure or just reading about this year’s journey which is in full swing.